Celebrity Cruises has announced a fabulous new “evergreen” cruise offer –exclusively available to cruise passengers in Australia and New Zealand. Named ‘Go Big Go Better Go Best’, Celebrity Cruises claim the offer gives guests more control when it comes to planning their cruise holiday, as well as the ability to tailor an all-inclusive package to suit their specific requirements and budget. To help you get to grips with Celebrity’s latest cruise deal, here’s some tips and advice on how to use the ‘Go Big Go Better Go Best’ to your advantage. So, What Is ‘Go Big Go Better Go Best’? It may be the talk of the cruise industry, but summing up Celebrity’s latest evergreen cruise deal in a single sentence is tricky – so bear with us. In essence, Go Big Go Go Best is a flexible cruise deal that currently has no promotional end date – thus the ‘evergreen’ moniker. The offer is available from October 1 2015 – April 30 2017, and is exclusively available to cruise passengers in Australia and New Zealand. Go Better – For an additional $20pp/day, guests can choose two perks from the list above. Go Best – For an additional $60pp/day, guests will receive all four perks as well as a premium beverage package. 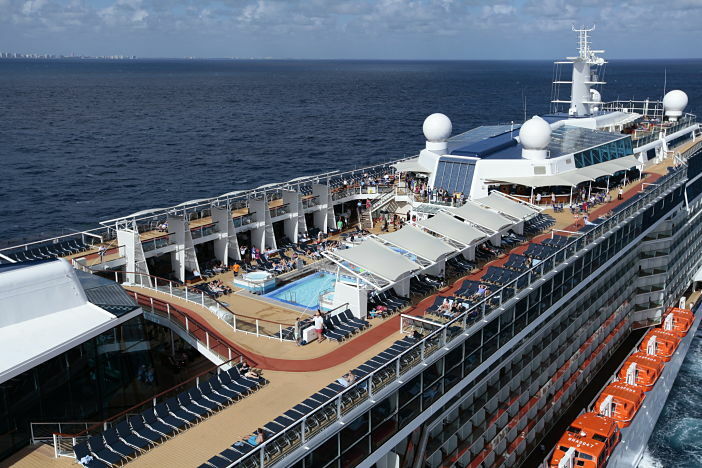 Before you start browsing Celebrity Cruises on the Cruise1st Australia website, there a few things you should know about the Go Big Better Go Best package. Applicable Sailings – Go Big Go Better Go Best is available on the majority of Celebrity cruises of 4 nights or more departing after October 1st 2015. Stateroom Restrictions – The offer is only available when booking a Oceanview Stateroom or higher, and excludes Interior Staterooms. Pricing – The offer is available when booked as part of a standard or group pricing package only. Booking Information – The Go Big Go Better Go Best offer is available from 9th August onward for cruise passengers in Australia and New Zealand. Unless already sold out, the offer is available to book ten days before a specific sailing departure. Booking Process – Unlike other cruise deals, guests wishing to take advantage of the Go Big Better Go Best offer are not required to enter a promotional code or voucher upon booking. Instead, any applicable perks and upgrades will be immediately available to select. If you’re interested in booking a cruise with Celebrity Cruises in order to take advantage of their fantastic Go Big Go Better Go Best offer, visit our dedicated Celebrity Cruises page, where you’ll find a comprehensive list of upcoming Celebrity sailings (remember, you’ll need to book after August 9th to be eligible for the offer). Should you have any queries about the cruise offer, or if require more information on a specific cruise, contact the Cruise 1st Australia team today on 1300 857 345. Images sourced via Celebrity Cruises Press Center. Credit: Celebrity Cruises.